Didymo is making fish smaller and less abundant, new research shows. The invasive freshwater algae, commonly called "rock snot", has spread to more than 150 South Island waterways since it was first identified in rivers in 2004. In all sports other than fishing, mental attitude is rated so important. Fisherman and fishing books rarely - probably never - give it a mention. Yet every other sports do. Take golf for instance. One golfing authority reckoned the mental side of golf is as much as 90 percent of the game. The great American golfer Ben Hogan knew it. Ben Hogan when playing in a tournament, mentally visualised each shot before making it and then played the shot on what is called “muscle memory”. The mind plays a big part in sport. Look at today’s golfers. Look at Tiger Woods in his prime, then beset by guilt and anguish, he now struggles. Lydia Ko currently off the pace, is probably beset by just a lapse in form, due to attitude. She’ll know better than anyone, she has to get to grips with it, mentally and erase the lapse. Watch rugby players and goal kickers in particular with their concentration and focus. Watch the top tacticians on a sports field. They observe, analyse on the field and adapt. Clean drinking water is something most of us take for granted in New Zealand - or at least we did until the shocking outbreak of gastric illness in Havelock North left nearly 5,000 people ill for days. The source of the contamination and how it got into Havelock North's water supply is not yet clear, although preliminary tests showed that the campylobacter that had contaminated the water supply came from cattle, sheep or deer. While we don't yet know how the contamination got into the water supply, we do know that the risks to the health and purity of our rivers, lakes and underground water aquifers increase with the intensification of agriculture, particularly dairying. Another interesting month on the rivers, again timing was all important. Some days the fishing was good, other days not so much. The size of the fish being caught are also a mixed bag. A large number of good conditioned but undersize trout seem to be in the system. My guess is the spawning runs will continue through November, although often with the late running fish the eggs have grown and taken condition off the fish. Watch the weather and fish the increased flows and periods of low pressure. As the weather gets warmer and the evenings longer look out for mayfly hatches. Submission to Fish & Game to "award" licenses to farmers who are true friends of the fishing fraternity and the environment. The club has submitted a proposal to NZ Fish & Game, to reward farmers with gratis NZ Fishing licences.The club has suggested that Fish and Game New Zealand consider developing a programme aimed at recognising and rewarding farmers who are true friends of the fishing fraternity and the environment. These are farmers with land adjacent to rivers or lakes who have demonstrated an outstanding standard of stewardship of their land and broader environment by, for example, excluding animals from waterways, maintaining and/or developing appropriate riparian strips and by allowing anglers easy access to those waterways. By these and other ongoing actions, they will have demonstrated a strong environmental conscience. It is proposed that these farmers be awarded free fishing licences for use anywhere in New Zealand, within the jurisdiction of Fish and Game's licensing authority. The significance of this award is not so much the monetary value, but rather the recognition it carries from an organisation that some farmers may have considered somewhat of an adversary. It can be seen as a way of Fish and Game recognising responsible members of the farming community – another small step towards fostering mutual respect. It is anticipated that the number of farmers recognised by the programme initially would probably be small – tens rather than hundreds. Such a programme could enhance the standing of Fish and Game with the general public by showing that it is prepared to recognise excellence in the farming community as well as tackling farmers who are operating outside the law and clearly degrading the environment. 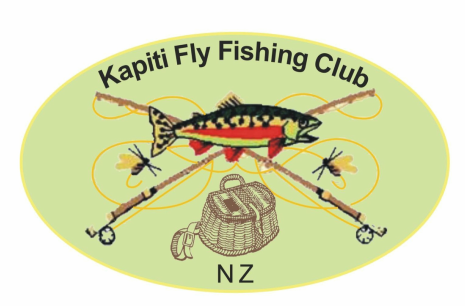 If to be adopted the club suggests that Fish & Game and New Zealand Federated farmers jointly launch the programme. ​Unbeknown to most anglers, some research by a Kiwi and two Canadian scientists has the potential to be the silver bullet we have been looking for to control and possibly remove didymo from our waters. Didymo as we know became the scourge of many waterways in New Zealand over a decade ago. While it is not known where it originated from, it suddenly bloomed in many rivers (and now lakes) making the angling experience less than optimal to say the least. In a very short space of time this invasive alga spread across and smothered the beds of many waterways. Not only was it unsightly and unpleasant but it also altered the rivers ecosystem in ways we are still coming to terms with. No other organism has been such a disaster to our fishing as the appearance and rapid spread of didymo.